I often get questions from readers who want to know what workout equipment is handy to have when starting a workout program at home. There are many items I can recommend depending on your fitness level or what goals you have, space available, budget allowed, etc, but Ryan Blair, our guest blogger, is going to touch on a few that are pretty much essential! About the author: Ryan has been involved in the fitness industry for over 12 years. He currently passes his time by writing for various fitness related websites and blogs so I asked him to share his knowledge with us today! Whether you are just beginning a workout regimen or you are looking to expand your home workout tools, it is important to remember that you will experience the biggest payoff when you combine exercise with nutrition, supplements, and plenty of rest and water. Here is a list of equipment for beginner and intermediate workouts that you will find handy, along with suggestions for supplements to boost your workout results. As a beginner to exercise and fitness, your goal should be to build your strength endurance one step at a time. Rather than trying to reach too far too fast, strive to experience progress each day, and build on progress achieved from the days before. Free weights allow you to build your strength slowly without injury. As you get stronger, you can upgrade to the next weight level. 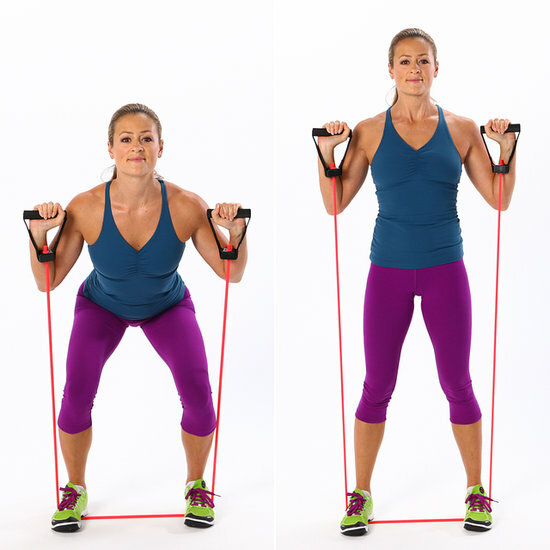 Resistance bands are a handy alternative to free weights (and are much easier to travel with!) They are color coded for level of difficulty and are great for holding yoga and pilates poses where you need a bit of extra length to work your way into the pose. 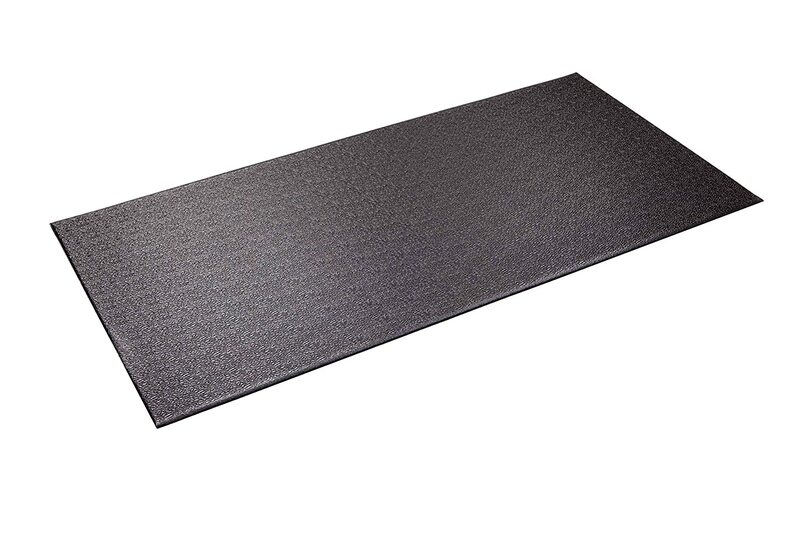 A workout or yoga mat will cushion your feet and joints, ensure you don’t slip or slide, and give you plenty of support for your workout. As someone who has some experience with fitness and working out, your goal is to continue to improve your health, strength, and endurance through frequent or even daily workouts. The best results will be achieved by varying your workouts from day to day as opposed to doing the same routine daily. So you may have days you take a yoga class, days you lift weights at the gym, and days you work out to a home DVD or jump rope to your favorite music. The best home workout DVDs for intermediate fitness have different workout levels so you can work harder as you improve. A monitor will tell you whether you are achieving a heart rate that can help you burn fat and calories. This can help you tailor future workouts to your goal. These large-lightweight stability balls are perfect for strengthening all of the muscles in your core so you don’t get injured. Strengthening your core can be especially important for preventing back injuries and back pain. In addition to regular daily workouts, plenty of rest, and of course lots of hydration, you may want to add in nutritional supplements. Supplements can help you burn calories and add muscle faster. They can give your body the extra boost it needs to maximize your workout time, help you heal faster if you get sick or injured, and ensure you are always taking in optimal amounts of nutrients each day. Consumed as powder or an energy bar, protein supplements will give your muscles extra nutrients to improve endurance and workout results. Taking in more protein can also aid in a faster recovery time if you become ill or get injured. I personally use Progenex Protein since I am a Crossfit trainer, however I generally recommend generic protein from Amazon to most athletes. Amino acids are the body’s building blocks for everything! They help with brain and body function, including building muscle. Once again I get my amino acids generally from Amazon. Vitamin C is essential to keep you healthy and fight off germs and illness. Your best bet is to take a good multi-vitamin that includes Vitamin C so you can be sure you are getting complete nutrition each day, which your body will need to keep performing at peak intensity during your workouts. We hope you found this helpful and if you have a specific question about any of the items listed here, please leave a comment below! Is there something else you think is essential? What is your favorite home DVD?